The WebIDE allows developers to manage runtimes and develop through the Firefox simulator or a real Firefox OS device. Select 'Web Developer' > ' WebIDE'. Click 'Done' to save the changes. 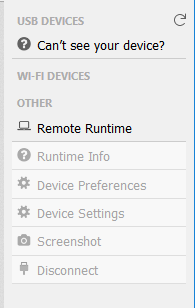 The sidebar on the right allows you to select a runtime or set a new runtime. USB devices – Displays OS devices connected over USB. 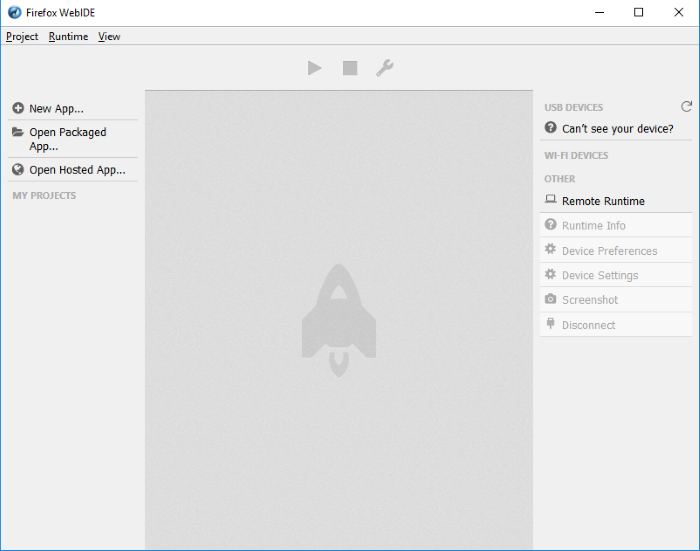 WI-FI DEVICES – Displays OS devices connected over Wi-Fi. OTHER – Allows WebIDE to connect to host and port to runtime remotely. 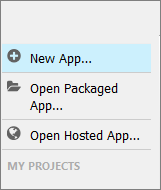 To remove a project, click the 'Project' menu > 'Remove Project'.